Impact Hope - Send Refugees to School! $50 a month can send a refugee to boarding school. Change their lives now! $50 a month can send a refugee to boarding school. 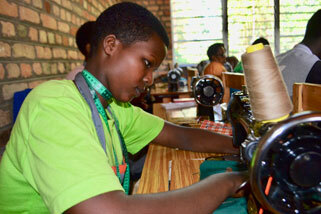 Sponsor one of the new 200 refugee students to vocational school! Only 1 year commitment, $600 is all it takes to give them a skill and a bright future. 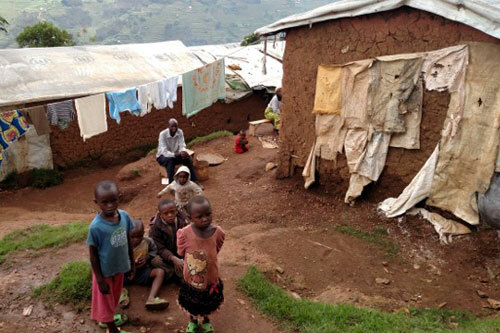 You can allow a student living in a refugee camp to escape these conditions and attend boarding school! Girls in Congolese Refugee Camp face victimization and abuse along their 14km walk to the “local” school. 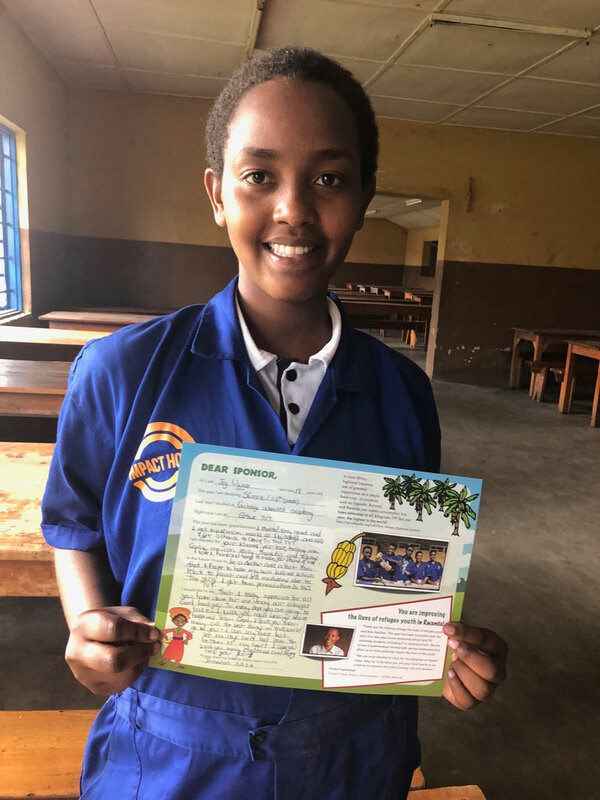 Help them attend boarding school! Together we’re making a difference in the lives of refugees! Now over 600 refugee students are enrolled in safe boarding schools—all because of the outpouring of support from YOU, who believe in making a lasting difference in this world. But our work is not done. There are thousands of high school age children in need of safety and quality schooling. Impact Hope is prayerfully working hard to extend this opportunity as far as possible! 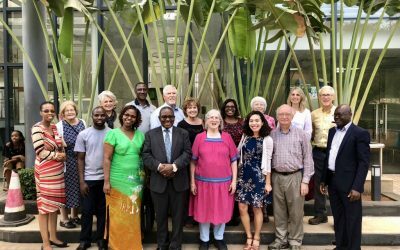 After learning more about the dire refugee situation in Rwanda, and that many Christian areas were also under this continuing poverty and persecution, we rallied to assist in relief efforts. 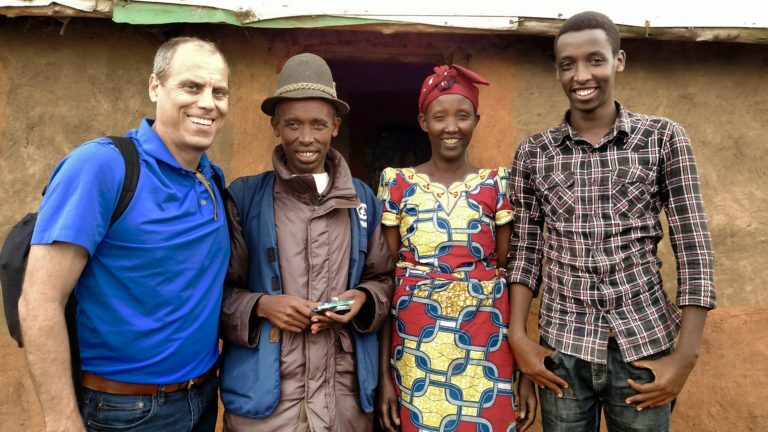 We found that high school education was a way out for many of these refugee families, so Impact Hope formed to sponsor and support refugee students to attend Christian boarding schools Rwanda. Our all-volunteer staff means that 100% of your donation directly benefits refugees! Find out the different ways you can educate refugees, saving them from having to live their whole lives in the camp. My name is Joy Uwase. I am 18 years old and a refugee. I live in Gihembe Camp and that is also where I was born. In my family we are five children and I am the first born. We have two girls and three boys. When I was two years old, my father left us and went far away. Until now, we don’t know where he is. At that time, my mother had two children, me and my younger sister. After my father left my mother started struggling for getting food. Since we were refugees, my mother didn’t have a job where she could get money for satisfying our needs.